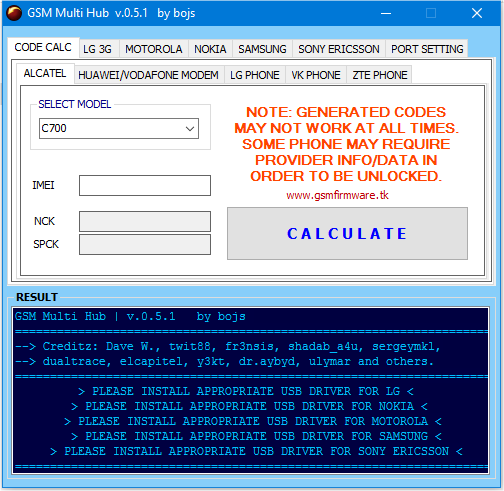 How to Crack GSM Multi Hub V0.5.1? 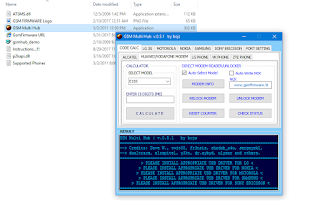 Extract the "GSM Multi Hub V0.5.1 by [Bojs]" Tool Compressed File Using WinRAR. You May Need to Install Microsoft.Net Framework v3.5, To Make the Software Proper Work. 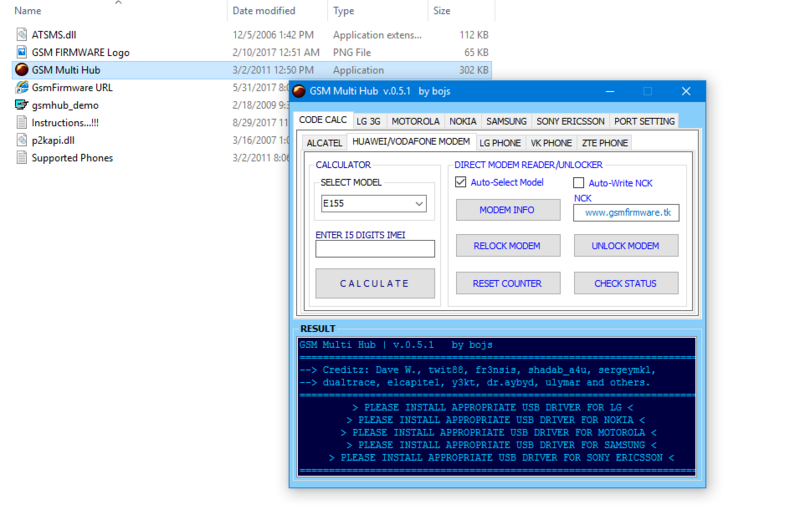 If You Want to Make the 'Motorola' Function Work, Please Copy 'P2kapi.dll' File and Paste to This Directory c:\windows\system32. 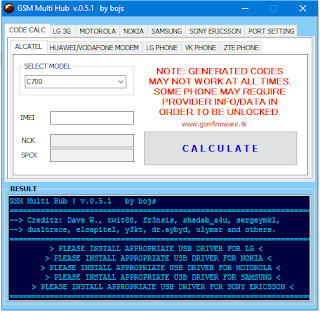 Install Appropriate USB Drivers For Sonyericsson (Atsms.dll Is Required for Some Function, Keep It in Software's Path), Motorola, Nokia, LG, Samsung & You Can Also Ask Google for These Drivers. Using Original USB Data Cable Is Better but Modified Cable Will Also Work.